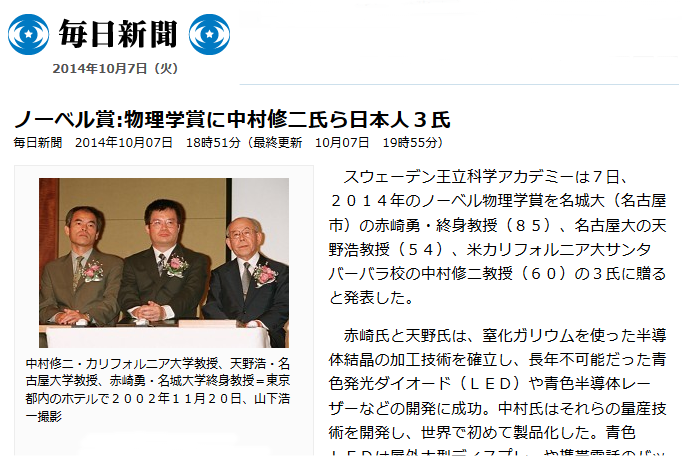 Scientist Shuji Nakamura (中村 修二) did his best work in Japan, at Nichia Corporation. 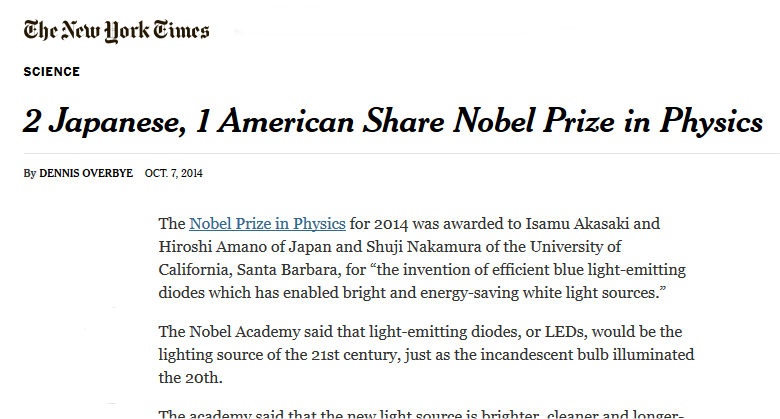 His groundbreaking research on blue LED was today honored with the 2014 Nobel Prize for Physics. Nakamura now works in the USA, and on becoming a US citizen would have been typically forced by Japanese law to drop his Japanese citizenship. Prof. Shuji Nakamura is now based at the University of California at Santa Barbara. 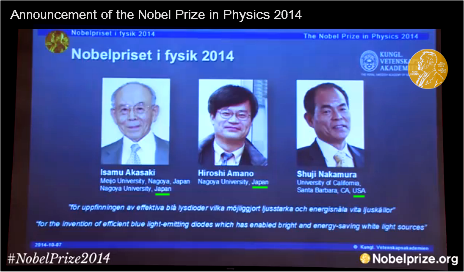 Discussion on Japanese television the day of the Nobel announcement gave no hint of past struggles and frictions, simply and proudly stating "three Japanese" won the Nobel Prize for Physics. Nobel Peace Prize to Japan?